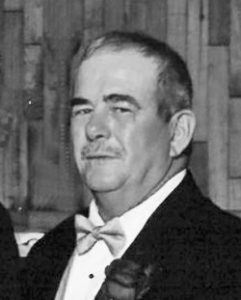 » Obituaries » Vern A. Mathis Jr.
Vern Mathis Jr., 70, formerly of Mitchell, died Sunday, Jan. 27, 2019, at Prairie Lakes Hospital in Watertown. Visitation and funeral services were held Friday, Feb. 1, at the Will Funeral Chapel in Mitchell, with burial that followed at the Mt. Vernon Cemetery. Vern was born on Nov. 30, 1948, to Vern Mathis Sr. and Pearl (Cornwell) Mathis in Mitchell. He attended school in Mt. Vernon and joined the Army National Guard. Vern farmed with his brother and father while he remained active in the guards. On June 29, 1973, he married Marjean Reimnitz at rural Dimock. They lived on a farm south of Letcher and together had four children. After their divorce, Vern had another son. He rejoined the military in 1985 and served a total of 29 years. He served a minimum of two tours overseas and was honorably discharged. After farming, he went to Mitchell Technical Institute to take up a building trade. He loved working for himself and continued in that career until he fell ill in late 2009. He moved to the Golden Living Center in Lake Norden in 2013, where he lived until his death. Grateful for sharing his life were his children, Angela (Jeremy) Peters of Madison, Shawn (Jessica) Mathis of Lemmon, Marie (Tom) Siemonsma of Crooks, April (Ryan) Olson of Stickney, and Brandon (Kayonnie) Kitto of Mt. Vernon; one brother, John Mathis of Mitchell; one sister, Norma (Harvey) Fincher of Sioux Falls; and 12 grandchildren. Vern was preceded in death by his parents, a sister in infancy, two nephews and a sister-in-law.